WHAT TO DO WITH ALL THAT HONEY??? Honey Bees are amongst the most important insects on planet earth. Clearly the single biggest pollinator, many plants would simply disappear from the landscape if it weren’t for the flight and food gathering behavior of honey bees. The European Honey Bee is the species most prevalent in the United States though the Africanized Honey Bee seems to get all the press. Closely related and similar biologically, these two species have some very important differences which has made honey bee management a concern for many land owners throughout the southwestern region of the United States. Honey bee nests are active all year. They don’t “disappear” or “hibernate” like many other bees or wasps. The hive, constructed of bees wax and shaped in honey combs, is used to house, feed, store food and raise the nests occupants. Nests are comprised of three castes; queens, workers and drones. Clearly in charge and responsible for the overall behavior of the nest, queens use chemicals and pheromones to communicate the orders of the day. These orders control the workers and drones and keep a sense of balance and purpose within the social structure of the hive. Honey bee nests can become quite large. Though most average 10,000 to 20,000 bees, it is not uncommon for nests to reach numbers in excess of 50,000. When such nests are on the move or when they decide to live close to man or domestic animals, conflict is inevitable. Africanized Honey Bees are very similar to their European cousins. However, Africanized bees are more likely to conflict with people. Furthermore, their behavior just before or during a conflict is much different then the more common honey bee. These differences are worth noting and should not be taken lightly. Africanized bees have been named “killer bees” because they can display a fierce and aggressive behavior not commonly seen with native bees. Because of this aggressive nature, it would be wise to forego any conflict with bees in general – especially in states where Killer bees have been found. At this pint in time, Killer bees have been identified in California, Arizona, Texas and New Mexico. However, based on their movement patterns since being first identified in the United States back in 1990, Killer bees will at some point migrate around the southern coastal states. It is expected that at some point they will be found in Louisiana, Alabama, Georgia, Florida, the Carolinas and even Virginia. Though they will probably move inward and off the coast as well, their intolerance of cold weather will keep them from reaching further up north. Killer bees are very different from your average species of honey bee for many reasons. First and foremost, they seem to be much less tolerant of any threat to their nest. Approaching a common honey bee hive is not suggested but can generally be done without much risk. The author has been within a few feet of them on many occasions and has never felt threatened nor has he been stung. However, this would not be advisable had the nest been active Killer bees. For some reason this specie of bee will not tolerate such behavior. In fact, it is suggested that you do not knowingly walk within 50 feet of any nest. And if Killer bees are attacking, the best mode of protection is to run as fast as you can and for as long as you can. Adult bees can fly as fast as 12-15 miles per hour. The average adult can run this fast – especially if they are being chased – and a straight path away from the swarming bees is the best method to rid yourself of them should you become a target. Where the average bee will typically give up chasing a perceived threat after 50 yards or less, Killer Bees have been known to keep coming after 150 yards. This is about 1 and a 1/2 football fields. In other words, make sure you have run at least this far before you give up running. And don’t think you can jump in a pool and hide from them. This won’t work. Killer bees will simply hover around the water and wait till you surface. If you are going somewhere out in nature where there is reason to suspect Killer bees may be present, it is best if you wear light colored clothing, no sweet smelling perfume or other scent and don’t do anything to get a suspected nest excited. In simple words, don’t aggravate them. Though the risk of getting killed by Killer bees is small (only a few people get killed annually from attacks), it is a very real threat. Like many larger animals in the wild, it is generally best to avoid conflict and act in a way to minimize the attack should one be initiated. Honey bees can become a problem when any one of several things happens. First, the average spring time swarm of honey bees is usually not a major problem. Though scary when viewed or if they land on your home, most bees will exhibit this activity during the spring and early summer months. If left alone, they will usually move on when suitable housing is found. Stay clear of such swarms and watch to make sure they don’t decide to create a nest on the tree or structure where you find them. A resting swarm will either move on or start a nest so if you see one, watch it carefully to see what it does. The following video features a bee swarm that was discovered and then relocated to a local bee keeper. Active nests out in the woods are usually best left alone and rarely present any immediate threat to people or animals. However, nests which form under eaves, in wall voids and basically anywhere people live can be trouble. Besides presenting an immediate threat in the form of getting stung, allowing such nesting can only lead to further problems. Honey stored away deep in wall voids can only leak and turn bad over time and during the process lead to structural problems. When such nests are identified, it is best to have them removed by a bee keeper. Do not allow them to reside in or on your structure. Bee nests will both degrade the building as well as pose a real hazard to people and pets. In short, bee nests in or on homes is not acceptable. Lastly, the remains of a nest that has mostly been removed or destroyed can present other types of problems. The honey left behind, as well as the lingering scent trails from the bees which were once active, will almost always attract other pests. These pests could turn out to be ants, beetles, other bees or some kind of honey eating animal like skunks or bear. Many times these pests will become active in homes where a bee nest was once present. Additionally, honey will rot as it ages. Spoiled honey smells bad and the odor will eventually find it’s way into living areas. And if the bad smell doesn’t prompt a thorough cleanup, the damage of it as it leaks through wall and ceilings most certainly will. Aging honey combs will decompose and as they break down, the rancid honey will ooze through walls. Dark spots on walls and ceilings are a sure sign of rotting honey and most nests hold enough honey to cause this type of damage following bee removal. Honey bee nests and infestations can be treated and resolved without the help of a bee keeper. If you have found a swarm or nest on or in your home, there are many treatment options. As previously stated, you may be able to get a bee keeper to come and remove it for you. If you don’t know anyone and want to attempt the job yourself, there are a few safety precautions that are strongly recommended to insure you don’t put yourself in danger. First, dress for the job. A good BEE SUIT, BEE VEIL, BEE GLOVES and BEE HAT are invaluable tools when it comes to safety. Once safely dressed, you will be able to administer the proper chemicals where you need to get them without the fear or danger of getting stung. For most any bee treatment, wearing this equipment is strongly recommended. Once you are properly dressed for the occasion, the next step is picking the right chemical for the job. For persistent swarms that need a quick kill, many people will use some BEE FREEZE. Though this material can kill bees and wasps quickly, rarely is it strong enough to kill off entire swarms before they disperse. The key to getting as much of the swarm as possible is to get as close as you can before you start to spray. The use of a Bee Suit will enable you to do this. If the swarm is high up on the side of a building or some- where else making it 10-20 feet away, you could spray it hoping the Bee Freeze will reach. Though it can spray 15-20 feet, the impact will not be nearly as good compared to when spraying is direct and from a close distance. For treating swarms out of reach, use an AEROSOL POLE. This device holds a can of Bee Freeze on top and by using a string, the applicator can release material once the can is close to the swarm. These direct treatments will prove to have more of an impact then trying to spray them from a great distance even though the can may be able to reach. If you have a structure or tree on which bees like to swarm, you can keep them away by treating it directly with some CYPERMETHRIN. This synthetic pyrethrin is highly repellent to bees and they will sense its presence and stay off treated surfaces. 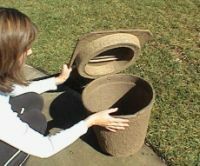 Use it on eaves, siding, tree trunks, rain gutters, around chimneys and basically anywhere you have had problems with swarms in the past. Make your treatments early in the season so when the bees show up, they will move away in search of somewhere more accommodating. The Cypermethrin can also be used to treat the swarm directly. Just add some SPREADER STICKER to the tank mix and most any one of our SPRAYERS and you will be able to treat a swarm with a potent formulation that will knock the bees down like the Bee Freeze. However, the Cypermethrin will provide a much longer residual as well as offer some repellency so it will work much better. Another approach you can use to “head off” swarming bees is the use of SWARM BOXES. You will see these in use throughout many of the states that are monitoring the Killer Bee populations. Mostly set up on regions where Killer Bees have been found, swarm boxes are set out and inspected during the year. When bees are found taking advantage of the box, they are easy to contain and handle. This makes for safe and fast management with little risk or danger from the swarm. Install some of these Swarm Boxes if you have had problems with swarming bees during the year. Such offerings are almost always better then what the bees will find naturally so they will take advantage of them once found. And since the swarms are so much more manageable in the swarm box, they can be easily removed and relocated by a professional bee keeper or other specialist if you don’t want to handle them. Use some BEE SWARM LURE to help them find your Swarm Box and replace the lure every couple of months during the swarming time of the year. Though most swarms will happen in the spring, Africanized Killer Bees have been known to swarm most anytime. By keeping Swarm Boxes available with fresh Swarm Lure, you will be ready to intercept them before they decide to make a nest in your yard or home! If you already have a bee nest or hive in or on your home, the use of Bee Freeze or Cypermethrin won’t help much. When nests get in or on a structure, there are other methods that must be used along with entirely different products. One thing is for sure, there is one thing you should NEVER do. This will almost assuredly fail. The product applied will not reach deep into the wall void where the nest is protected. More importantly, once you contaminate the entrance/exit hole, the bees will many times move laterally inside the wall void attempting to find another path which will be safer to use. This will many times cause them to start “exiting” inside the home. When this happens, most homes will have to be evacuated till the nest is completely killed. Since bee nests are so large, such invasions can last for weeks making the structure uninhabitable. Needless to say, this is a situation that must be avoided – especially if the bees are thought to be Killer Bees! The proper treatment of any nest which is located on an exterior wall or void is to treat from inside. The application stands a much better chance of getting to the nest and if you don’t get good enough coverage and a quick kill, the foraging bees will still be able to use their old pathways. This means you should still be able to observe them to see just what level of impact your treatment has had. It is quite common for a good treatment to take a few days to kill all the occupants of any one nest. This is largely due to the sheer size that honey bee colonies can reach. The best material for such treatments is a fine white dust called DRIONE. This light dust looks like confection sugar but is deadly to insects. Largely comprised of silica gel, Drione works as both an irritant and a dessicant to most any insect. It will effectively kill them on contact – especially the ones that take a direct hit – and the best way to treat suspected nest locations is to use a “shot gun” pattern. First, identify the wall void in which the nest is located. This space will be opposite the outside entrance of their nest. From inside the home, you should be able to hear them buzzing throughout the wall. It is not uncommon for them to move vast distances once inside. The author has seen nests span areas over 10 feet wide and two stories high so any one hive can become quite large if left alone for several years. Though the Drione will do a good job of penetrating, it is always best to use a consistent pattern of treatment holes to insure proper penetration and coverage. To do this, you will first need a HAND DUSTER. Next, use a power drill with a 1/4″ to 3/8″ drill bit to create treatment holes. This small hole will be large enough to allow the Drione to penetrate the void but small enough to keep the bees out of the living area. It is best to space holes 1-2 feet apart. If the wall is filled with insulation or some other filler, keep the holes spaced close. In other words, more holes with less Drione pumped in will prove more effective then trying to get adequate coverage with only a few holes. If the void is mostly hollow, holes can be placed 3 feet apart. Remember to get holes in between all the studs that could be present since they will serve as a “divider” thus preventing good penetration. Remember too that gravity will tend to cause the dust to settle so make treatment holes above the highest point where you suspect the nest may have reached and when you go to make the actual treatment, start with the holes highest up first. It is always best to make all the holes you expect to need before beginning the actual application. Most nests will require a square area anywhere from 5 feet high to 5 feet long but some nests could mandate a much larger area. The author has dealt with nests requiring holes drilled every foot 20 feet wide and over 10 high. Though such nests are not common, remember that it is always best to treat an area larger then what is thought to be where the bees are located. Such over applications will insure you get the entire nest and thus eliminate any chance of them surviving the dusting. Once you have the area drilled out and you are ready to dust with the Drione, it is strongly advised that you have the room evacuated and that you are safely dressed just in case the wall gives way to the soon-to-be-really-mad bees that will be quite active as the dust infiltrates their nest. It is best to treat the circumference of the nest first, thus surrounding them with the material, so there is no real way for them to escape. Once the perimeter holes have been dusted, work your way through all the interior ones and make sure you get enough dust into the void. It is wise to use about 1 lb of dust per 100 sq/ft which is an area about 10 feet wide by 10 feet high. This may seem like overkill but nests can be quite large and the sheer number of bees that might be present will mandate such usage. You could choose to use less and hope the nest is smaller but if you want fast results, dust the area heavy. This is almost always the best approach. Once treated, the bees will be alarmed and angry. Stay away from the entrance hole or holes and expect them to be buzzing quite loudly for an hour or two while the dust takes effect. Within a day, most of the activity should cease and for a few days following the application, expect to see stragglers wandering in and out of the nest as the ones that have survived won’t know where to go or what to do. One of the best things you can do to eliminate the ones left following the initial treatment is to set out some BEE GLUE TRAPS. Ideally, these should be as close to the entrance/exit hole as possible. With their special pheromone scent, these traps will do a great job of collecting all the bees still alive but without a home. It is strongly recommended that some be set up where possible following any treatment of a nest. If the nest is on some object like an old dead tree, vacated car or other structure, you could choose to treat it directly. Remember that entrance/exit holes will have a lot of bee activity so it is pretty much mandatory to wear a bee suit if you attempt any such application. Once you are properly protected, direct application can be done. The key here is making sure the bees will have limited or no other chance to find an escape path. In other words, if the direct treatment isn’t reaching far enough into the void where the nest is located, be sure they can’t circumvent the dust and reroute their pathways to survive. If the nest is located somewhere high like under the eaves or soffits of a building, the prospect of working on top of a ladder may not be feasible. For such treatments, the use of another type duster could be worth the investment. Since the small Hand Dusters can only hold a small amount of dust and will have to be filled several times for the average bee nest, the DUST R could be the better tool for the job. I can hold a lot of dust – almost a whole pound of Drione, and will pump it faster and deeper into any void. If the nest is 5-10 feet up, the LONG REACH DUST R has a series of extensions that can be connected which will enable you to do the application. And for any nest 10-25 feet up, the DUSTICK would be best. It doesn’t have quite as large of a holding tank for the dust but it’s long length makes it invaluable for treating hard to reach nests. Honey bees can make a lot of honey. This honey must be maintained and managed by the hive. If you kill the bees, the honey will turn rancid and rancid honey will attract pests and to make matters worse, it will really start to stink. To prevent this from happening, it is wise to remove any honey that may be hiding or left behind in wall voids or ceilings. This could involve the removal of wall coverings, the cutting of sheetrock or other finishes and even the dismantling attics or soffits. Try to remove as much as possible; if you leave any substantial honey in any part of a home or other structure where a nest was once active, you will almost assuredly have some type of insect problem develop as well as an experience a real problem “odor issue”. In some cases, the honey will rot through walls and ceilings as it leaks and seeps during the natural decomposition that will occur once the bees are dead and no longer eating and maintaining their food. If you have rotting honey causing an odor problem and you are not able to access it’s location, the smell could persist for several months. To minimize the bad odor, you may need to do some void treatment with a special deodorizing agent. The agent will effectively neutralize the smell during the decomposition process. The best material for such treatments is N-100. This liquid is excellent to use on anything like garbage, compost piles, raw sewage and other food grade related odors like that which you will have with rotting honey. Direct treatment is important so if you can directly spray it into the voids where the odor is present, you should be able to get good results. Retreat as needed; this could be as often as every week till the honey is completely decomposed. To get better penetration in any type of ceiling or wall void, the use of a FOAMING TOOL is suggested. With the use of some FOAMING AGENT, any of these Foaming Tools will convert the N-100 solution into a thick shaving cream that penetrates hollow spaces and promotes excellent coverage. By getting the N-100 properly displaced in the wall void, you will get better and faster odor reduction. 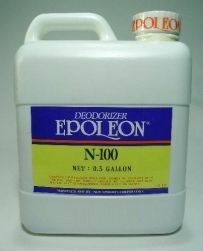 If the odor is present in some open spaces like crawl spaces or attics, use the N-100 in a BG FOGGER. This unit will propel the solution 20 feet or more and ensure you get a dispersed wide area treated. Fogging for odor control really helps promote uniform coverage and gets the N-100 deep into cracks, seams and other hidden spaces where there could be some honey turning bad. If you have a honey bee nest on or in your home and have decided it must go, there are plenty of ways to deal with such infestations. However, this specie of bee is lot different from the average bee or wasp. Due to the average nest size, removal and control are not as easy and generally results are not seen immediately following any treatment. Use the right approach and the right product for the most efficient use of time and effort. A less then complete attempt will usually result in more of a problem then what was originally established. And in regions where Killer Bees are present, such an effort is not acceptable! I own a bed and breakfast and have a garden wedding scheduled for this weekend. The honey bees are not a problem most of the time, in fact we love having them in the garden, but I’m afraid when wedding guests start shooing them away the bees will get agitated and start stinging. I’m looking for some product that will discourage the bees from being in the garden during the wedding. The next day I want the bees back. What can you recommend? There are two options we’ve found that will repel bees and wasps. One is an aerosol that can be sprayed over the area you’d like to keep bee free. Known as PT-565, it uses Pyrethrin as the active and has no residual. So when you spray, it will linger for several hours and during this time chase away flying insects. Within a day it will be gone. The second option is a liquid spray known as NBS. This material is nothing but an insect repellent and as such, is designed to repel insects including bees. This product is typically mixed with paint or stain which is then used on the outer surfaces of wood as an exterior finish. When used this way, treatments can last a year or longer. But it can also be mixed with water and sprayed over plants you’d like to keep insect free. When used this way, treatments can last several weeks but if you use it really weakly, it will only last a few days. Thanks for your article. I am addressing one issue you didn’t mention. We are re-roofing and removing 3 hives. All above is being followed. What do you suggest to apply to get rid of the scent of pheromones from the previous nest removed. I have ripped up the roof twice. 2 separate bee keepers have done the job. Obviously they didn’t treat properly or use the correct product as a new colony returned to inhabit the same area. Would Sevin dust work or do your suggest others. Several things about your inquiry that strike a common note we hear when it comes to honey bees. First, they will most definitely try to re-infest any area that had previous nesting. And in fact, we’ve found this happens with many other insects including roaches, ants, stinkbugs and crickets. We have also found that spraying the exposed voids and decking under the roofing with some NNZ can really help prevent this from happening. That’s because the NNZ will neutralize the pheromones left by nesting pests like bees. So when the area is open, do a heavy NNZ spraying and allow the area to dry for one day. Next, dust it with Drione. This dust lasts a year or more and is highly repellent to any pest so where it’s applied, they cannot live. Try to get the surface area where they bees have been nesting treated and then cover it as quickly as possible so the treatment remains in tact and unaffected by the local weather and moisture. Now after the roofing is installed, dusting with Drione under each row of shingles every spring should also be done. Just one application will usually last the whole season though in some cases treating twice a year is warranted. If you review the video on Drione Dust, you’ll see how it penetrates through and through which is why it’s so effective on these guys. And forget the Sevin dust; it has no repellency action so if you miss the scent trail by just 6 inches, you won’t get positive results. I live in a mobile home and I have seen honey bees entering the skirting through a screw hole ( screw is missing ). How do I proceed to get rid of these? I thought they were gone until the neighbors dog was standing near the area and could hear or sense that there was something in there. Then I saw another bee enter the hole. Any ideas would be appreciated. If in fact you have a honey bee hive under the home and it’s easy to access, getting a local bee keeper to come and remove it should be considered. Many bee keepers will perform this service at no charge because they get to keep the bees. But if you aren’t able to find anyone to handle this task and you are unsure where the hive might be located, get some Phantom Aerosol and mist the hole they are using daily. If you treat it once in the morning and once at night, every day, you’ll eventually kill the nest. Here’s why. Phantom is a slow working active which doesn’t scare or spook insects. They’ll unknowingly walk or crawl over treated surfaces and in doing so, will pick up slight amounts of the active ingredient which they will then bring back to their nest and transfer to other members of their colony. The net result of this transfer is that by the time the active starts to work, most of the population will have been infected. And if you keep treating the hole for 2-3 weeks with 1-2 second blasts every morning and evening, you’ll surely get them all and shut the nest down completely. It’s important to point out that the only way this treatment could work is if in fact a lot of the hive is using this hole. Because if they are, you’ll get enough of them to pick up the ingredient and transfer it. It’s also important to point out this wouldn’t work if the treatment was being done to the ground or wood or some other porous surface. But because the skirting is made with metal or some other non porous material, the treatment should stay in place (on the surface of the skirting) long enough to transfer to the bees as they travel through it. The only problem is the area you’ll be treating is so small that I’m sure it will wear away quickly which is why I suggest you keep renewing it twice a day. This should work eventually and the risk of getting stung in the process just about nil because the spray will only take a second to do meaning you won’t have to linger close to the hole for any length of time. We have bees that formed a nest in just a few hours on a fence. What is the best thing to do to get rid of them? I’m getting married in a park soon and I just noticed there are a ton of honey bees hovering over the grass. I don’t want to kill them, but I was wondering if I could spray vinegar or something to keep them away for a day. What you’re seeing are probably not honey bees but instead, some type of Digger Bee. They’re just now getting active and I suspect this problem could get a lot worse as your wedding day arrives – especially if it’s in the next 2-4 weeks. To confirm what they are, I suggest you go to the area again and see if you can observe them entering small holes in the grass and other turf areas. Digger bees won’t have one or two entrance ways; each bee will have their own little nest with usually just a single hole. When left untreated, digger bee populations have been known to explode certain years producing thousands of nests. Now one thing I’d like to point out is that if in fact these are digger bees, it’s kind of tough to repel them since their nests will be located in the turf just below where they’re hovering. For this reason they generally will not want to leave the area since this is their home. So what you’ll need to do is go back to the area and look to see if there are lots of little holes in the ground where you see them flying. And if you find holes and the holes are being entered by the bees, I’m afraid it means there are nests that will have to be treated if you want to get rid of them. And this will involve using one of the methods listed in the Digger Bee article (link above). But if you inspect the area and cannot locate holes but instead, just find some small bees hanging around here and there randomly, there are two organic repellents that can be used to keep them away for a few days. 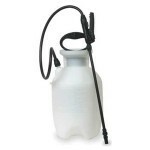 The first comes with it’s own hose end sprayer. Commonly used to repel fleas and ticks, Mosquito Tick Flea Repellent uses all natural ingredients and won’t kill anything. Basically it will just chase annoying flying insects (and some crawling insects too) off the treated area and should provide you with relief for the big day if you get the area treated the day before. The quart will treat up to 3500 sq/ft. The second option is a concentrate that can be used as a paint/stain additive or as a surface spray. Most commonly used on wood surfaces, NBS can be applied to plants and turf to chase away unwanted insect activity. 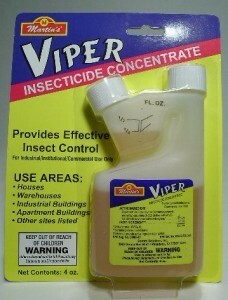 It won’t kill insects either but it will do a good job of repelling them from where it’s been applied. The pint jar will make about 5 gallons of mixed spray and can be used to treat 5,000 sq/ft. There are two types of pyrethrin based repellents you can use to keep them away. Both are aerosols and use Pyrethrin as their active ingredients. Bees hate pyrethrin and will avoid areas where it’s detected. The key will be for you to figure out how much will be needed to chase them off but not kill them. So if you were to spray them directly with either aerosol, you could injure or even kill them. But if you lightly mist the area before they arrive and there is no breeze that day, you should be able to keep them away for several hours using PT-565. It won’t take much; maybe 5-10 seconds of it sprayed toward the area where they’re amassing. But you won’t know how frequently you’ll have to apply some till you try. And since the amount needed will be based on the size of the area you’re treating, you may only need to spray for 3-5 seconds or 10-15 seconds. A second more permanent solution would be to set out some aerosol machines filled with Purge III. This is another pyrethrin based aerosol that will repel flying insects from the area. These machines can be set to go off every 15 minutes, hourly, etc. and if you position one close to where they’re amassing, they can be configured to keep going off non stop so that you’ll keep refreshing the treatment. This will eliminate you doing the work and because it will be automated, a guaranteed way to make sure the treatments are done. Since you don’t mention if you want to kill the bees or merely remove them, I’ll make two suggestions. The first option is to go for the quick kill approach. This can be done by simply spraying their nest with the Bee Freeze we have listed above. I would recommend putting on the safety bee equipment first and then once the box is open, spraying down the nest for an instant kill. The second option can be done if you only wish to remove the bees but not kill them. To do this, contact any local bee keeper and ask if they’d like a free bee hive. Many will either come and remove it for free or in some cases, charge a nominal fee. Once removed, set out some Nuvan Strips which will prevent new nests from forming. Nuvan is a slow release type material which is excellent for preventing any kind of insect from using small confined spaces like a meter box. The strips will last several months and will stop everything including bees, ants, spiders, etc. And deploying them would be easy too do since your techs are no doubt visiting these locations on a regular basis.